Hey. I've been pretty much left in the dust for a while and looking for much critique on my work. My initials DO spell K.A.R. I attend Saturday High at Art Center. ^I love these sketches. I don't know why. ^First ever acrylic painting render! ^I will not pay for your eye surgery if you are blinded by this. I drew this with my left hand, and I am right handed. it seems like every sketch has its own style. i'd like to see what your personal style looks like. hey, so you live in L.A. huh? nice that your attenting those Saturday High. Your stuff.. is good, but awkward and confusing. And I'll explain why before I tell you some mistakes. -many of your drawings (i like the second one the most) are really good, in a way that you can draw nice lines for a 14 yr old! Yet it's hard to guess what you're really going for, because.. take for example.. on the first page, those are some really basic, and childish shape for a car........ so.. it doesn't match your linework. -what are you exactly trying to draw? 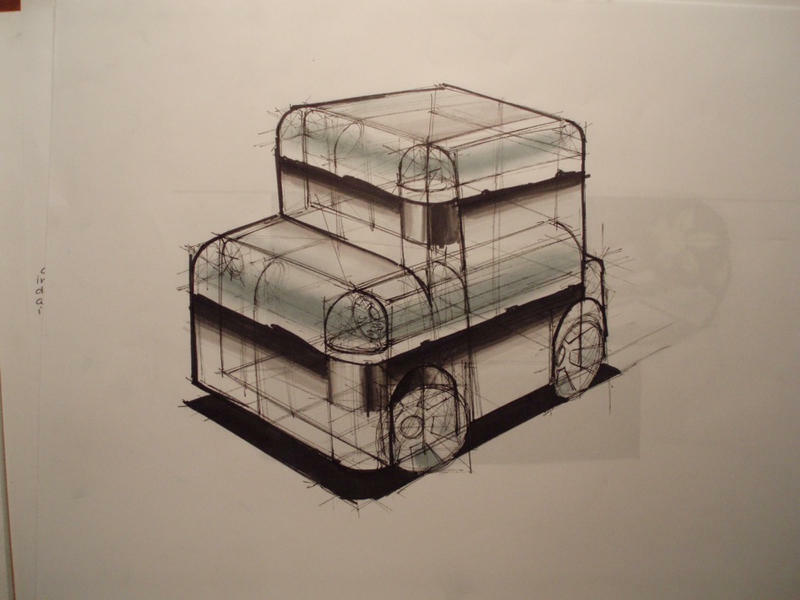 it seems like a car, but not really.. if you want to practice your basic shapes, just practice them, you don't need to practice them by drawing cars, because that makes it a lot more complicated, and the result doesn't even look good. -another thing that confuses me is that.. your ability to draw seems to leap around, like.. this page you draw good, next page .. not so pretty.. next next page back to good. You know what I mean? that will just make me .. kinda think... hmmm did you copy those good ones off a book? I'm joking of course. page by page what I think. -pretty good perspective, and nice ellipse. You make it look a lot like a doodle though. 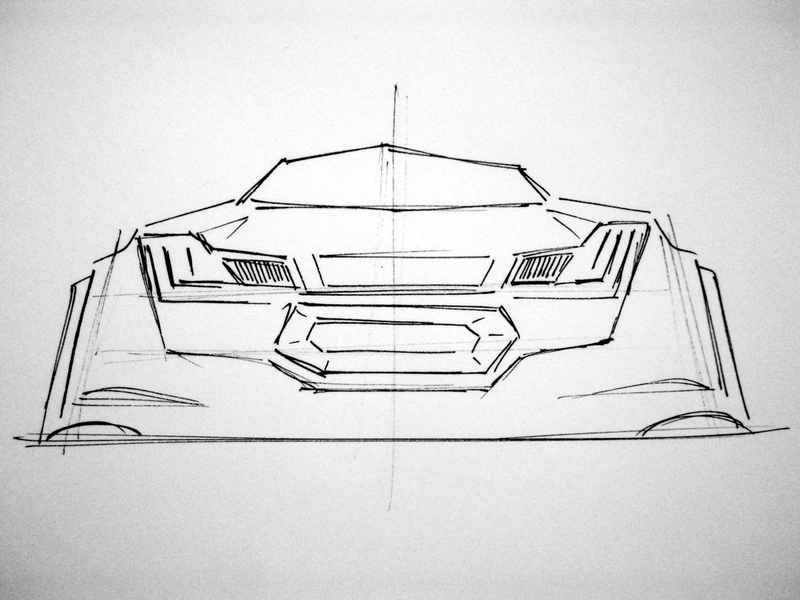 If you want to draw cars, draw them, dont have other practices of shapes and lines on the side. Planning ahead is a good practice. -I like this one the best. Its interesting, becuase of the contrast. Your perspective is off on this one, thats what ruins it. To add on a bit more interest, you should try to detailize the headlight, and the wheel. -page 3, abstract art, keep going at it! No comment, just practice. HOWEVER, its still really clear that your perspective is way off. 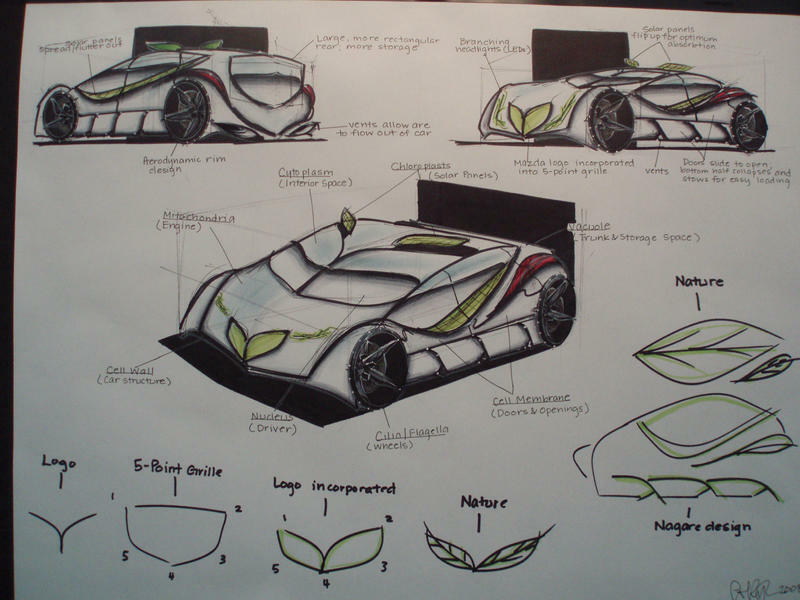 -Page 4, leaf car, try doing them in pen, I can't read those words. What I find hardest when drawing multi view of an object is for them to look like they are all that ONE object. Right now, you car looks like 3 similar car with same colour.. yet they are not the same car. Its like.. audi a4 a6..
so ya, hope to see more soon, good luck on your finals. Mm, I understand what you're saying. 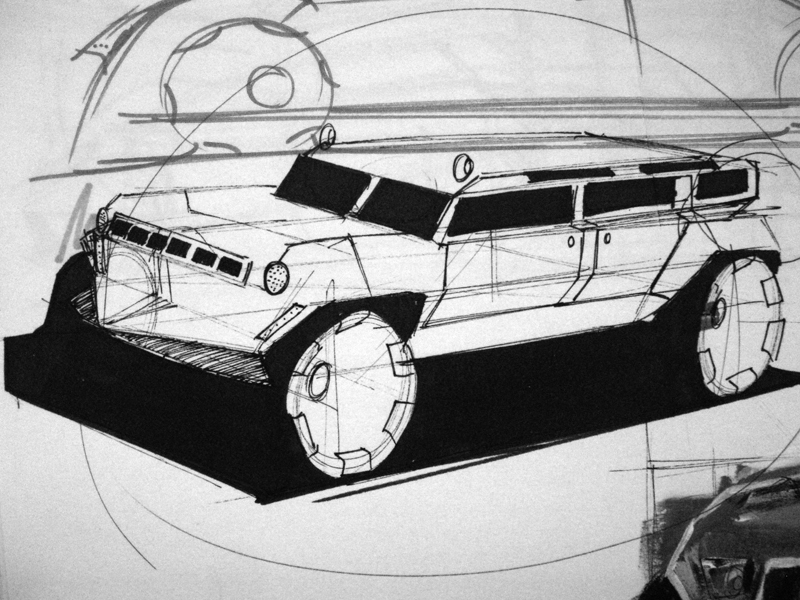 Most of the time I try too much to have diversity in my sketches which messes up my own interpretation of the car. My overall favorite style is modern/futuristic but I can now see that I haven't clearly displayed that style through my works. 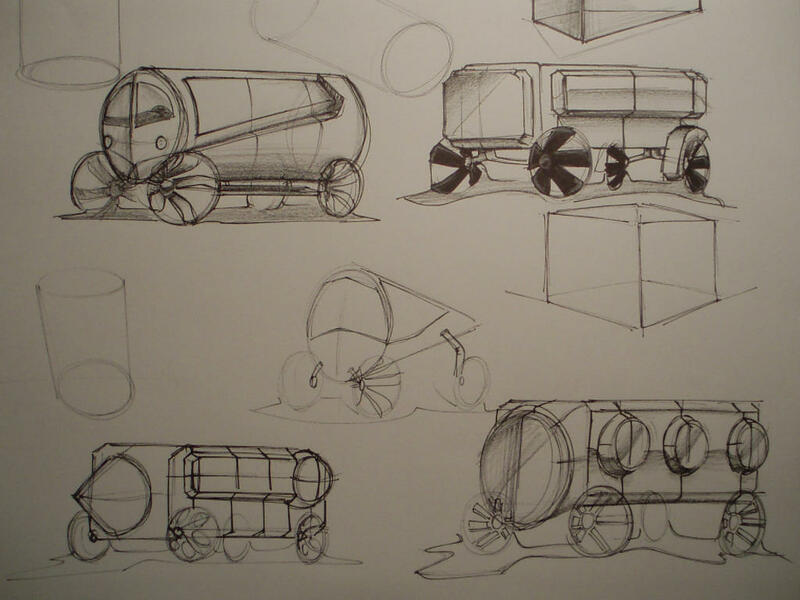 For the simple-shape cars, the instructor was telling us to practice our cubes, cones, cylinders, etc. I find lots of inspiration in normal everyday objects, so I hope that explains part of it, but I agree that they are very much like doodles, and now that I look at it, yup its quite childish. Yes! I agree on my drawing ability leaping around too. I have no idea why I do this, because sometimes I'll be in class and do a really good sketch and then when I go home and actually make a clean one, It never turns out well. I guess it's just a matter of practice. I think I just found a reason why my sketches look like doodles though. 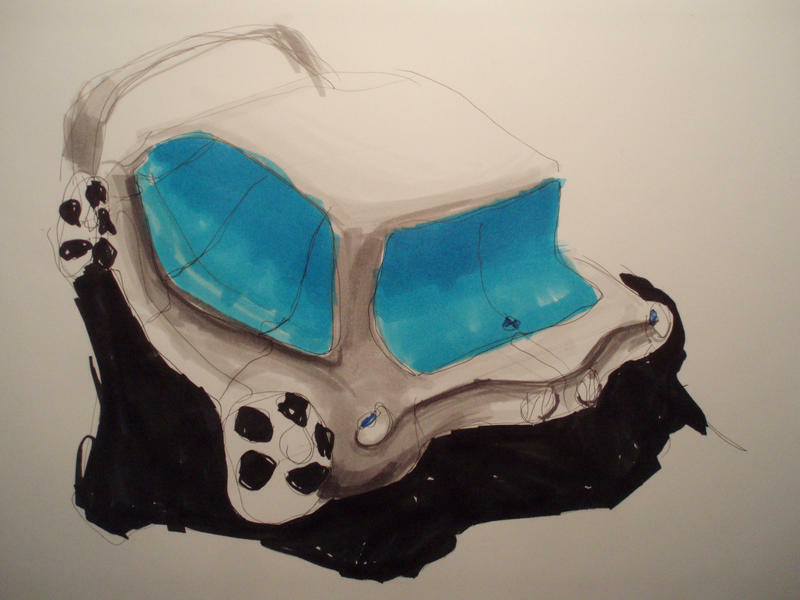 Some were done in a sketchbook (mostly the ones that aren't rendered) and I usually have multiple cars drawn all over a page, as well as other random stuff. Left hand sketch: Yes it does have to get that curvy . I am the most uncoordinated child on earth and drawing with my left hand was probably the worst idea. But that's how I find inspiration. Strange eh? Thanks again for the crits. One of the best I've gotten since I started posting online. I'll take everything into consideration. By the way: your screename Taro, is that the food taro, like taro cake or whatever they call it? Sorry if I somehow offended you by calling you a form of a potato, but I just had a taro bread thing and it was good. np man, more practice will make you consistant, almost like when you close your eyes, you know what you are doing, or more like.. your body knows what your doing. and I notice, many of your pages are even cut off, so I figured that many of them weren't really meant to be a nice clean sketch, but a sketchbook sketch. and okay, if drawing left hand is the inspiration, go ahead, nothing wrong with that. But one day, you will have to pay for my eye surgery. btw, if Taro bothers you, you can call me Steve lol. Yet uhh Taro..ya I think it's the food Taro, my girlfriend gave me that nickname, along with other ones that are really random. And worry about it, you didnt offend me or anything lol. Yea, the first one, the acrylic paint and the one after the painting were all in my sketchbook. This stuff is really funky but not really nice in my opinion, but considering your age it's a good start! I really laughed at the left handed sketch, I should make a try at this too hahaha! The first one looks like a mars rover or something. I was thinking more moon rover, but all's the same in space, eh? Sorry for not using the upload thing. Apparently my files are way too big and like it won't upload. I actually think this looks like a Nissan. Note: these were done before I posted this topic, so some of those criticisms were not applied, sorry. I attend the Art Center day program. 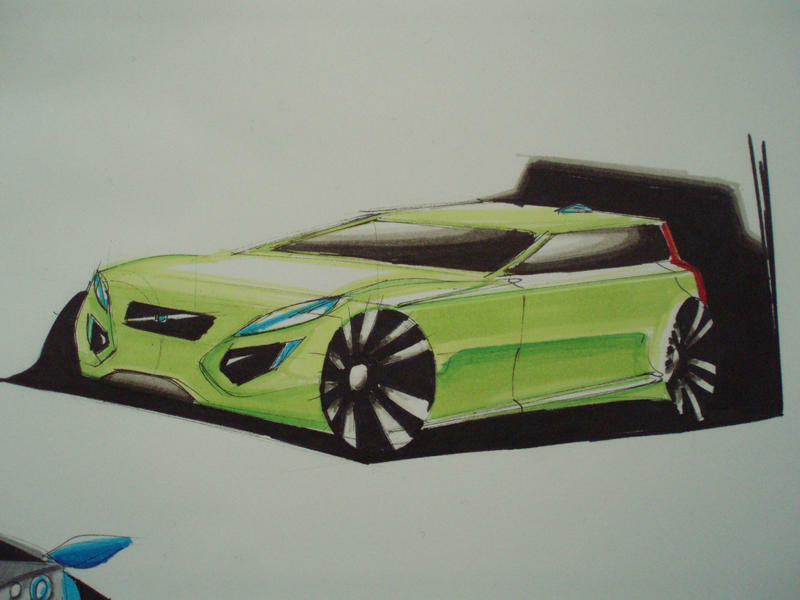 As long as dont u make me draw cars, i can probably help out. The body of the volvo looks good, but as you said, the windshield and roof don't look in perspective. 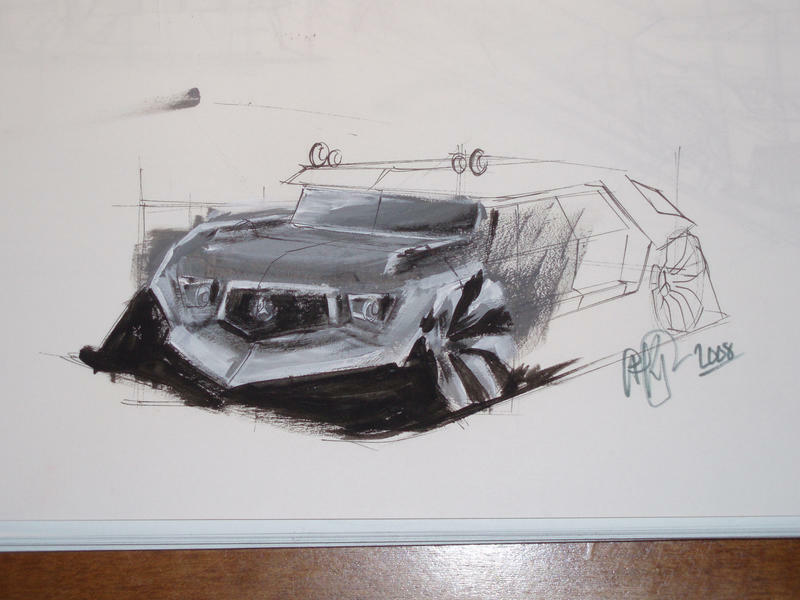 Most of the time I try too much to have diversity in my sketches which messes up my own interpretation of the car. My overall favorite style is modern/futuristic but I can now see that I haven't clearly displayed that style through my works. Keep doing what you're doing. You're one of the few people I've come across online who's actually using drawing materials as a way to design instead of as a way to document. Well done. Keep playing with materials. 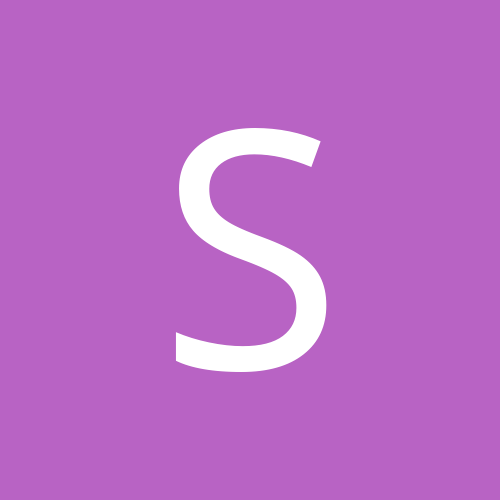 Let them help shape your problem-solving and then later, when you have a solution, worry about making them presentable and understandable to non-designers. You're and Art Center student? Sweet. What are you studying there right now? Yup. I have no clue what I was thinking. gee, thanks. I think you just read part of my mind. 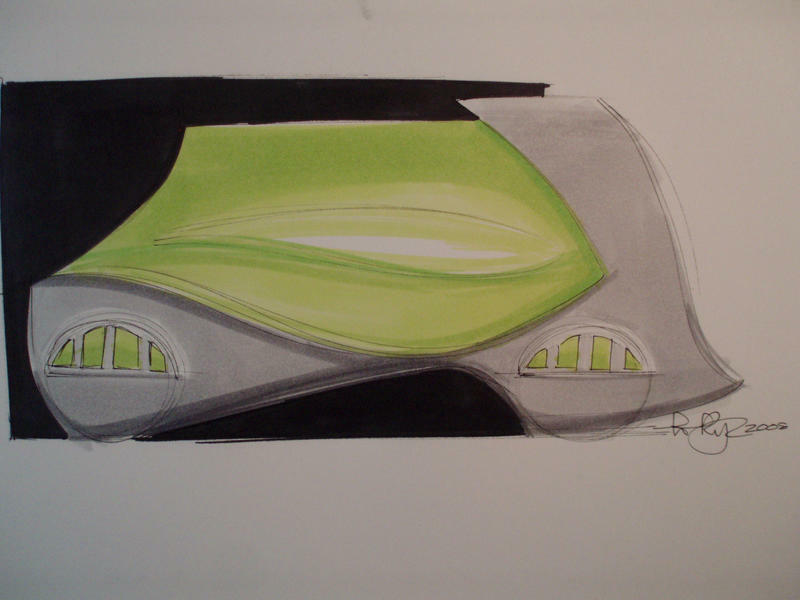 The reason I started using different materials was because I wanted to see what it would be like, and how it would effect how I design. Your explanation is just what I thought. I think this might be due to that I am a very visual learner and I prefer doing things differently and exploring the medias. I remember when I tried making a crumpled-paper car model to try and understand "organic" form. It was strange, but it did help a little. Finally got around to sketching. I did a Honda Prelude sketch. I'm not sure if I applied all the crits, but please do critique even further. 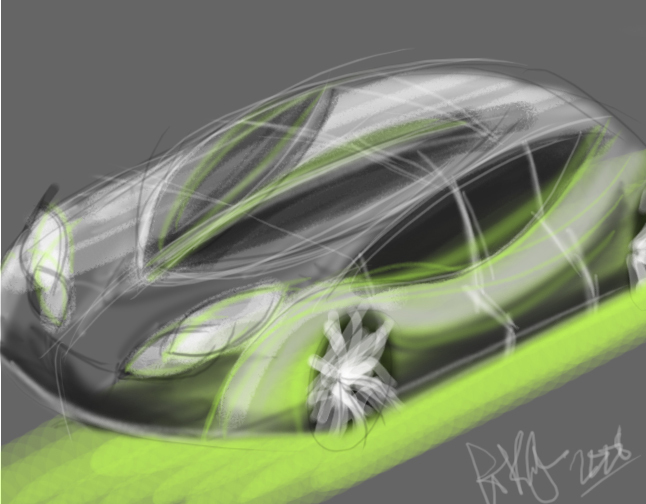 I tried incorporating some of my style (futuristic/modern) and Honda's design elements (hexagonal shape=fc sport hydrogen thingy, front grille style=chrome style on many new Hondas). I've pretty much just hit a wall. I can't really think of any new ideas or anything. Ugh. This happens every few weeks and it annoys me.